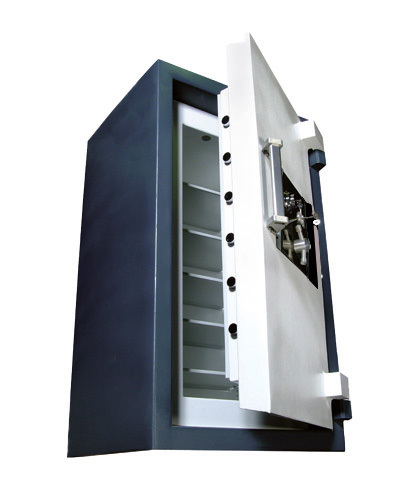 Here at TSS Safe, we are proud to have the largest selection of heavy duty, certified pre-owned safes in Israel. With a range of storage solutions from small to the largest, high security safes ever manufactured, our inventory of pre-owned safes is available at any given time; we will have upwards of 300 used safes for sale. We have in stock TRTL30x6 TSS Titanium, ISM Treasury and Super treasury ,TRTL15x6 Jewelers, Chubb safes classes 2-6 , magen safes, Soltam and more. Buying a pre-owned safe from us can be a wise move considering a well made safe can last a lifetime. With our Reconditioning & Refinishing Process, we ensure that the safe you receive has undergone every inspection, change and, tune-up needed for it to provide you years upon years of protection and usage. All shipping and delivery options are available to you. we have insured and bonded professional safe installers in every that can place the safe in your desired resting spot. There are some classifications or ratings for burglary-resistant safes. They are showing the level of protection: TXTL-60X6, TRTL-60X6, TRTL-30 X6, TRTL-15X6, TRTL-30, TL-30X6, TL-30, TL-30, and TL-15. TL is a tool resistant safe and TR is a torch resistance safes or a combination of the tools each letter and number of the rating code represents a different aspect of security that the safe. Burglar's tools: TL means a safe is tool-resistant, TR means it's torch-resistant, TRTL indicates that it's tool- and torch-resistant, and TXTL stands for torch-, tool-, and explosives-resistant. Time of resistance: The numbers 60, 30, and 15 represent the number of minutes a safe will withstand a series of attacks. The longer a safe can resist a break-in, the more likely it is that burglars will flee and that police or security guards will arrive before any jewelry is stolen. Sides of a safe: X6 means all the safe sides a safe provides equal protection on all six sides (including top and bottom). When X6 isn't listed, it means the safe provides protection only on its front face and door. Therefore, A TL-15 rating means a safe can resist physical attack from tools to its front face or door for 15 minutes, a TRTL-30X6 UL rating means a safe is certified to resist entry from torch and tools on all six sides for a half-hour. TSS …Top Security safes From Israel ……security is our top priority.